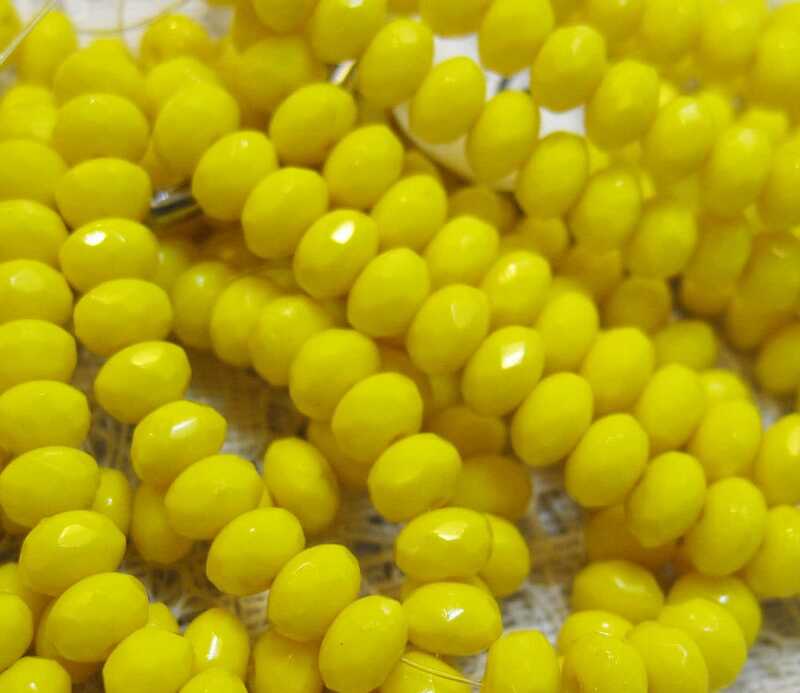 Bright yellow Czech pressed glass small faceted rondelle beads. These are 3mm x 5 mm. There are 30 beads per strand. Always a pleasure shopping here. Great seller, products and service.